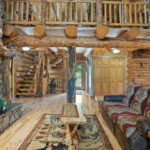 Sleeps up to 12 (4 Queens, 2 Fulls, and a new leather pull-out sofa bed) 4 Bedrooms and 3.5 Bathrooms. 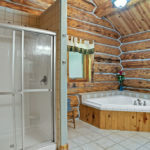 Master Suite on main level with a Jacuzzi tub in master bathroom. 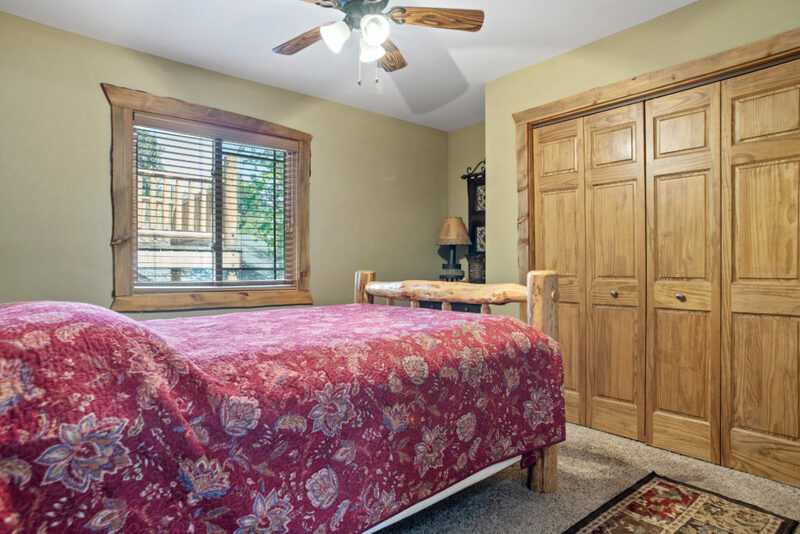 New furniture, beds, and bedding. 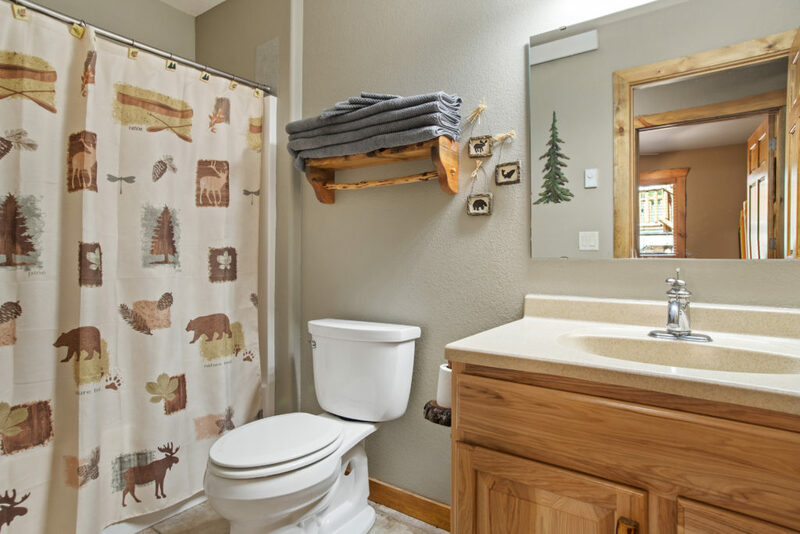 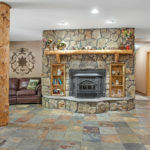 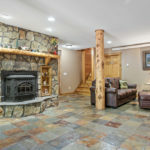 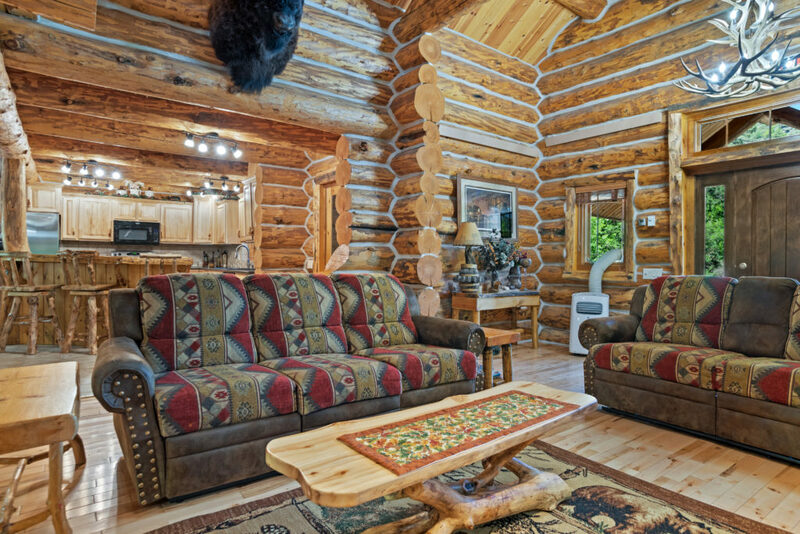 New Décor of Terry Redin Prints, Buffalo Head, and so many new updates throughout this fabulous Real Log Lodge. 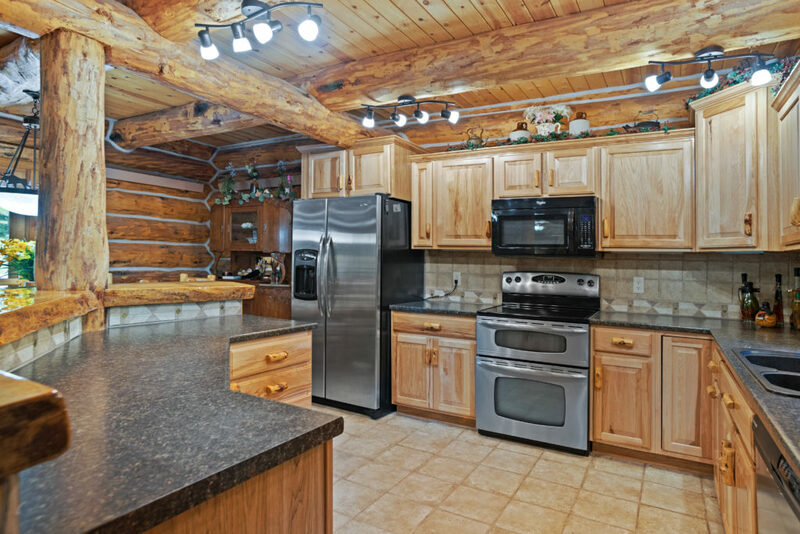 Huge Kitchen & Dining area including amenities of home. 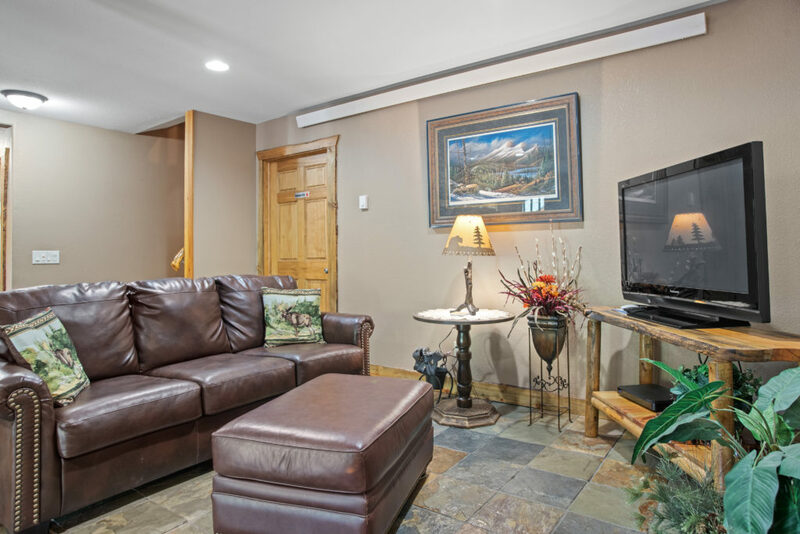 Also includes a Pool Table, Dry Bar Area, 2 Fireplaces, and 2-42″ TVs with satellite (Master bedroom TV, Upstairs bedroom TV, and downstairs TV). 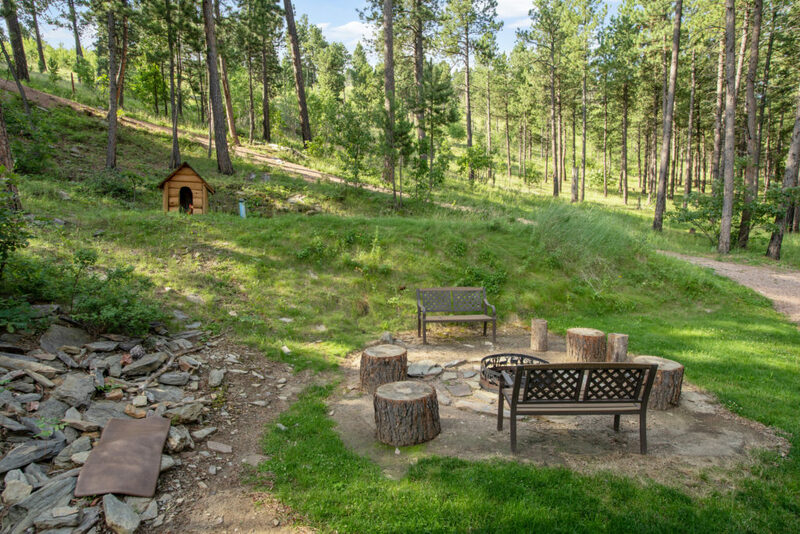 There are also 3 Decks with an Outdoor Charcoal Grill, Benches, and Patio set. 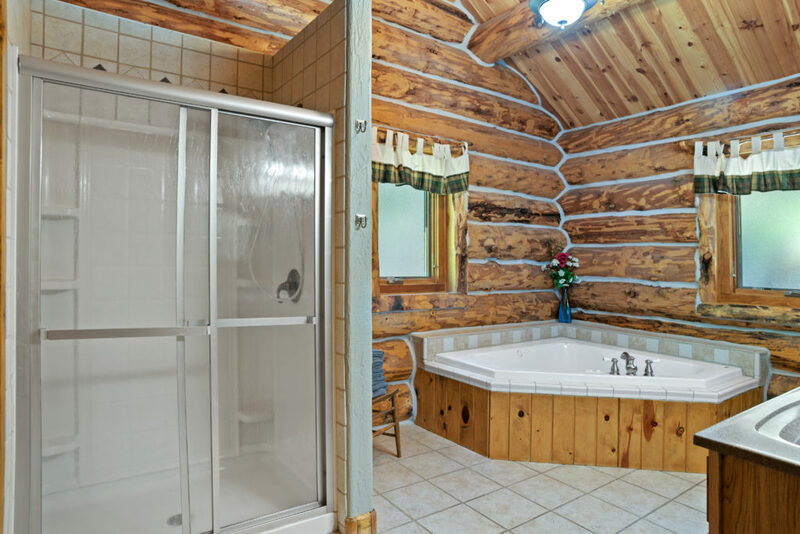 No Hot Tub. 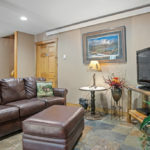 Driveway on all pavement and trailer parking is available. 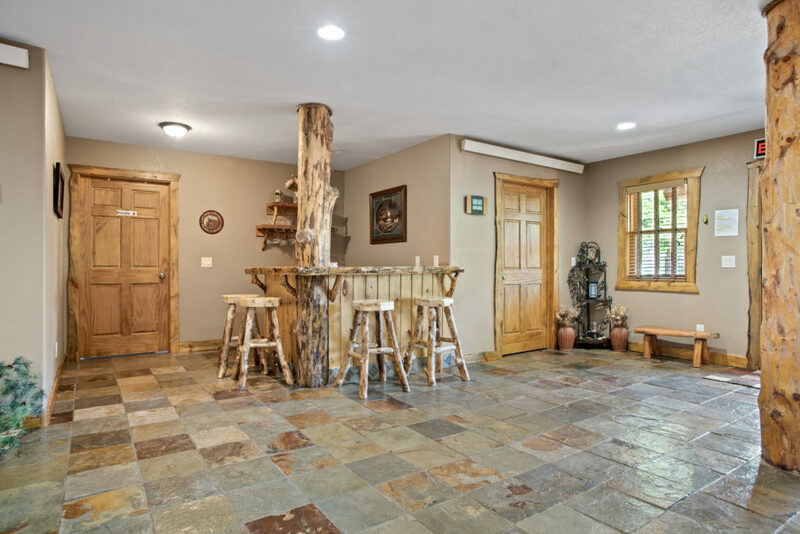 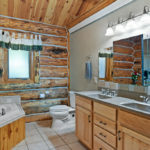 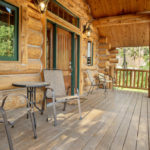 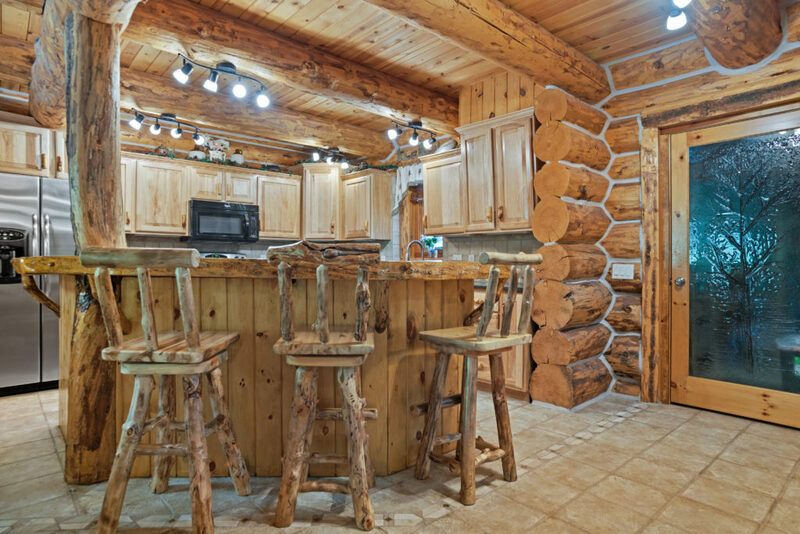 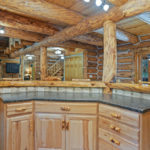 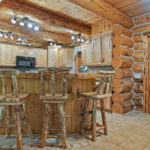 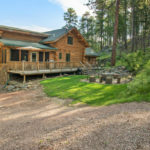 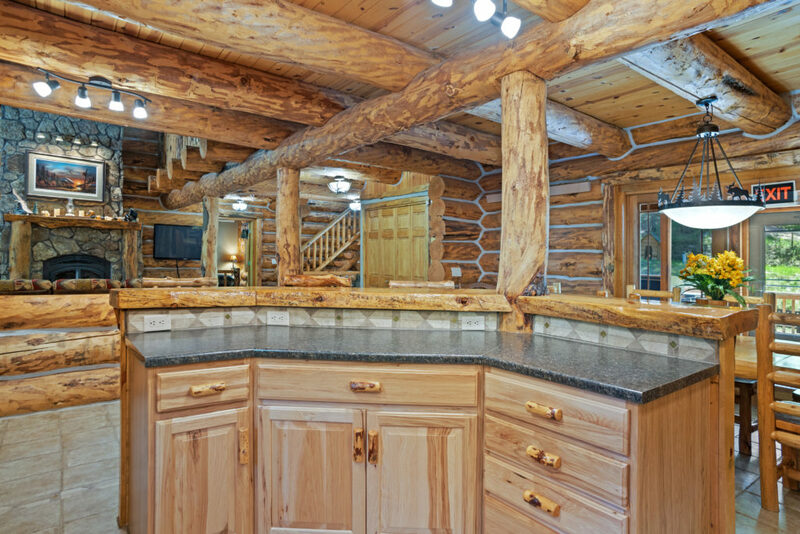 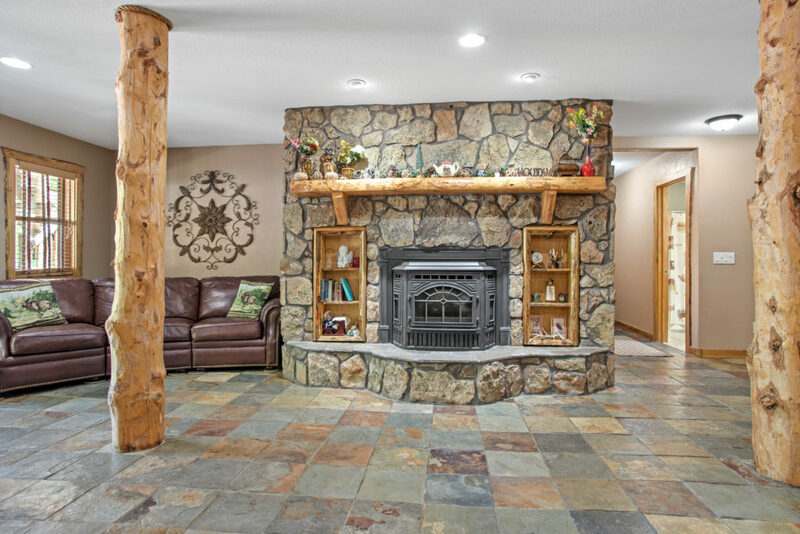 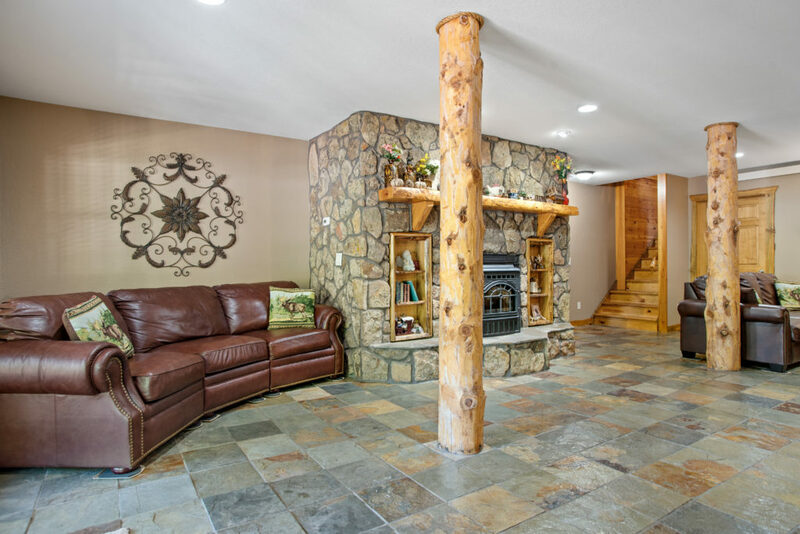 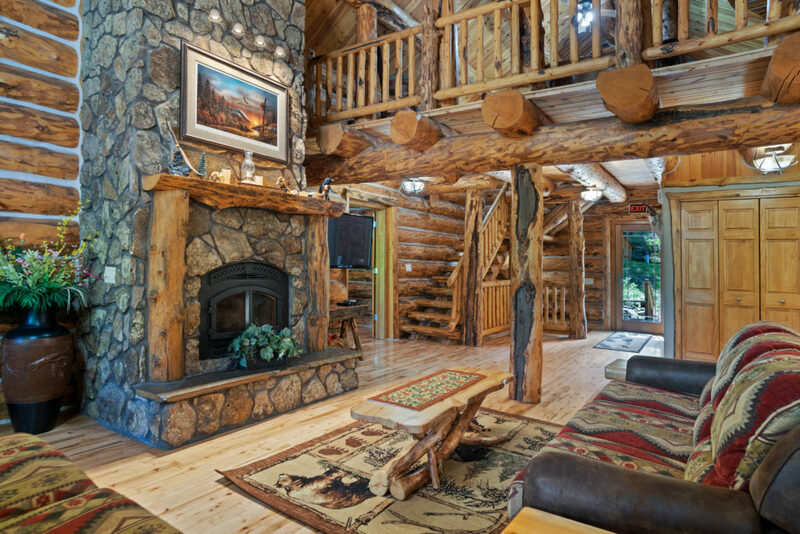 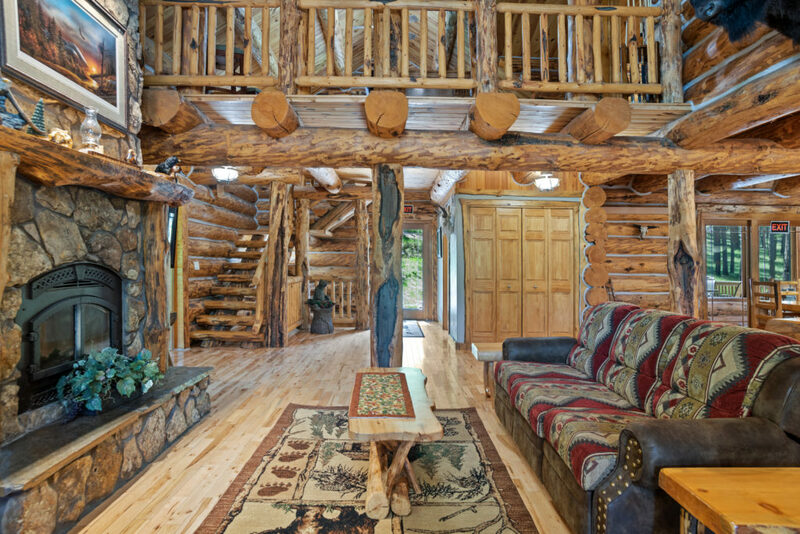 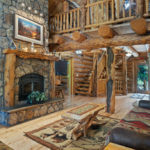 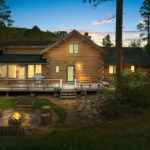 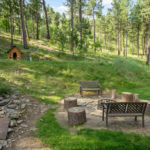 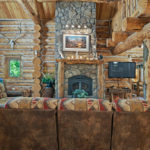 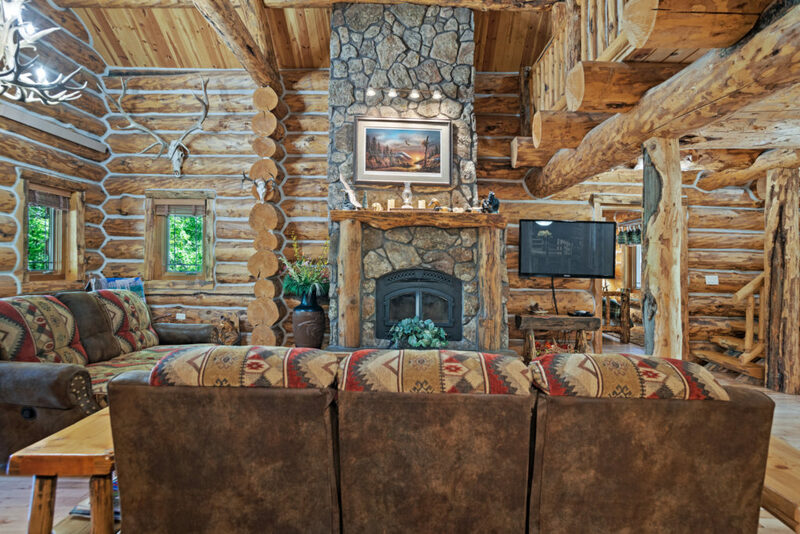 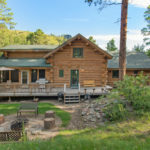 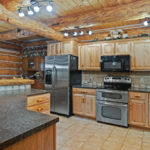 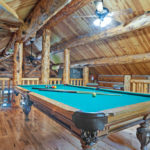 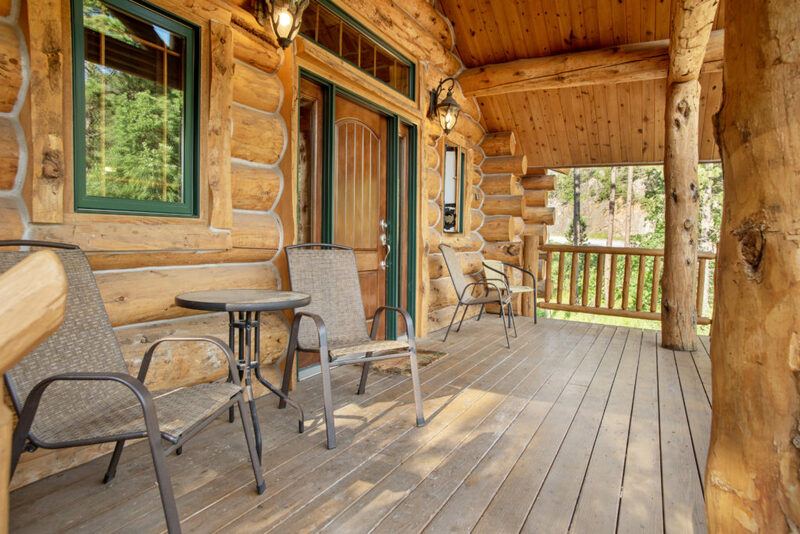 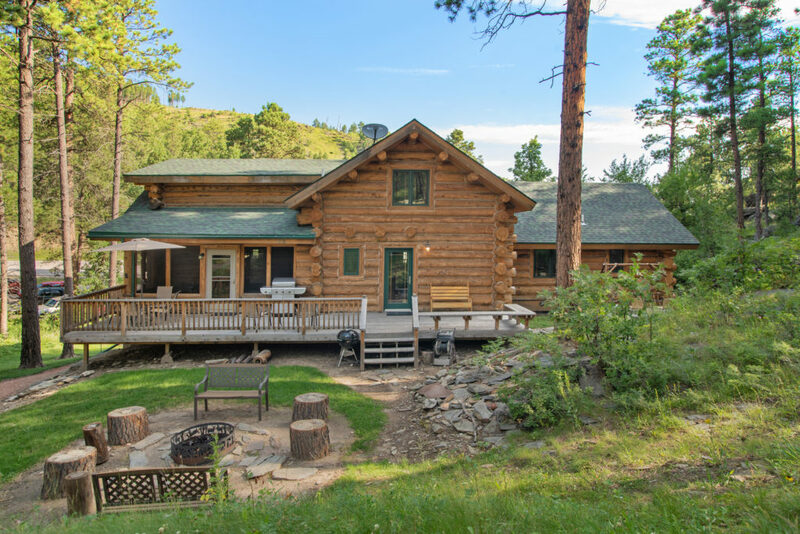 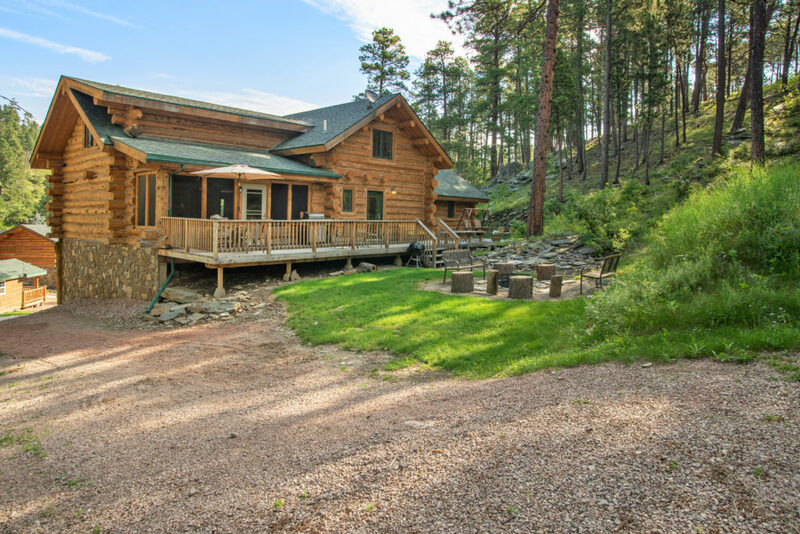 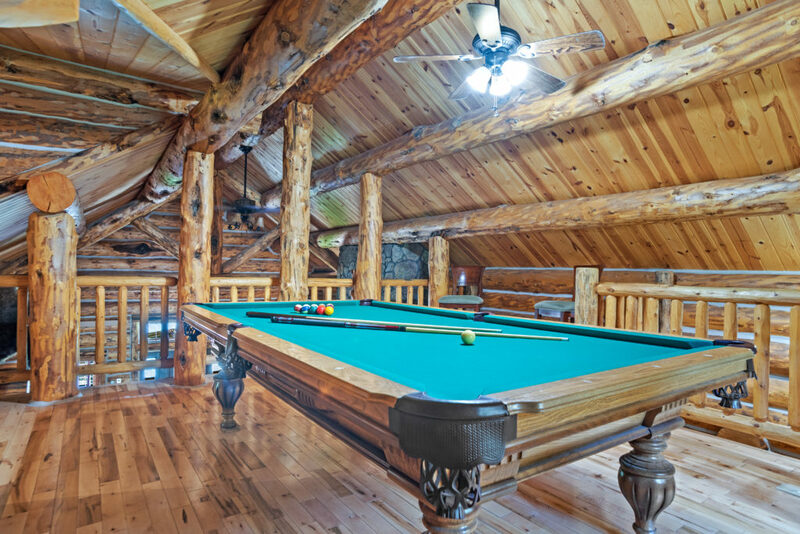 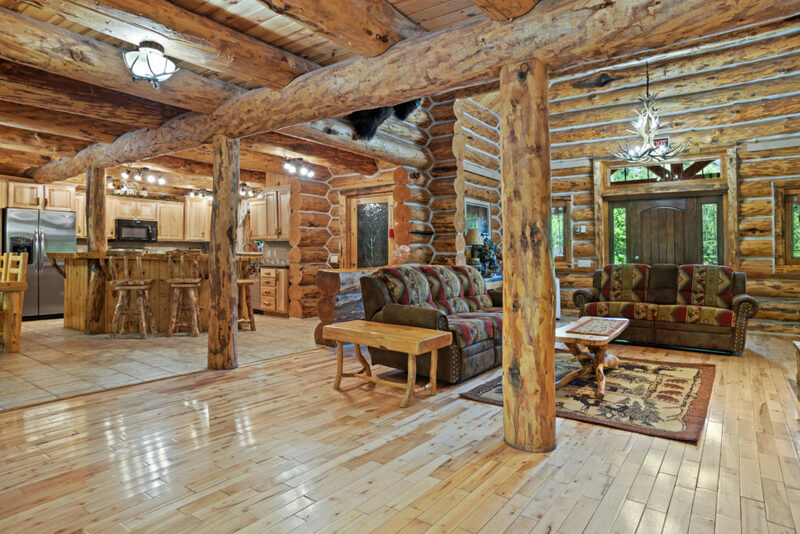 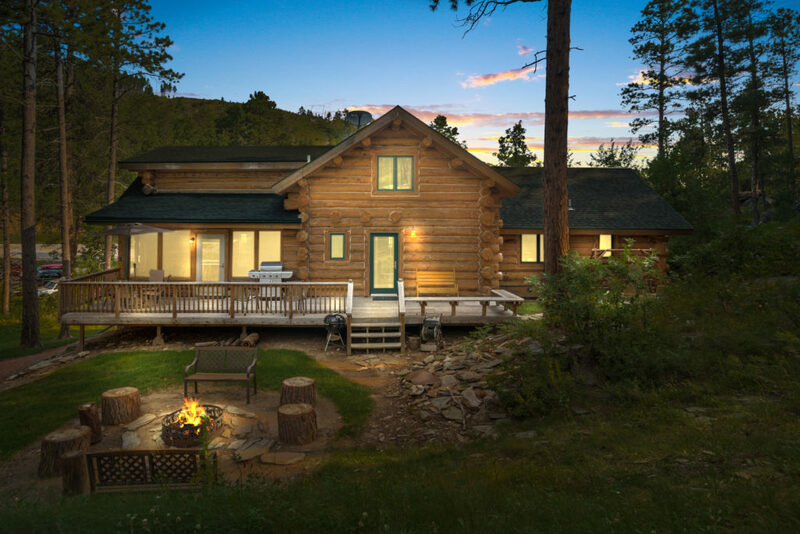 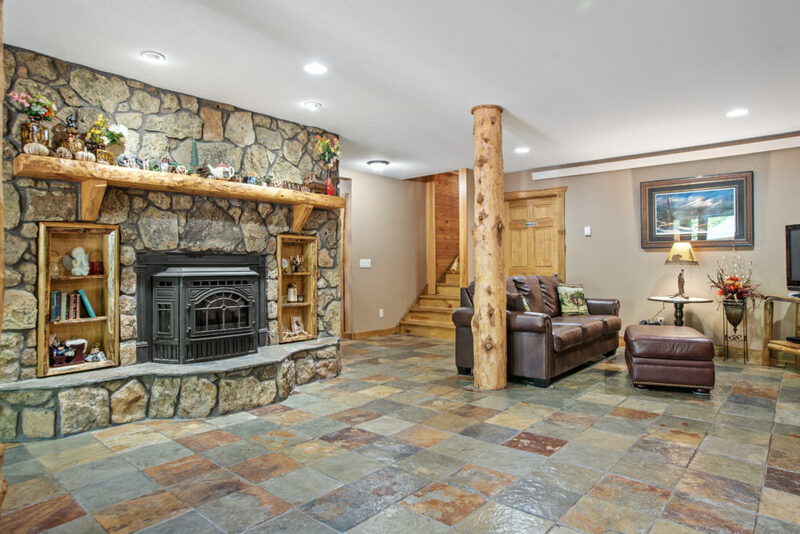 This is an incredible 5,000+ square foot beautiful Real Log Lodge home in the Beautiful Black Hills. 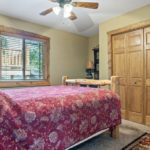 Limited Housekeeping/ Wi-Fi. 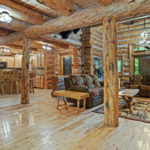 Pet Policy: Pets NOT OK in this cabin. 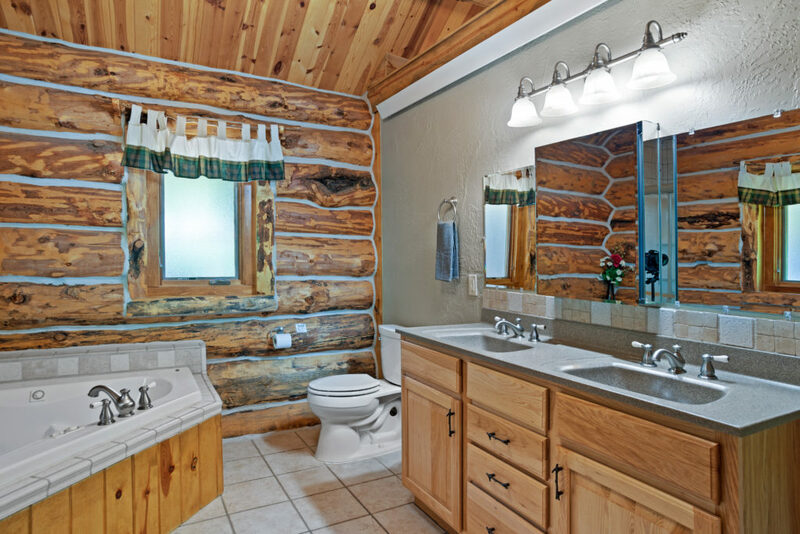 Please note: No more than 12 people in cabin at once, due to septic/well systems. 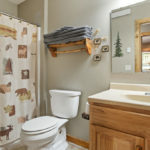 This is not for a large meeting facility. 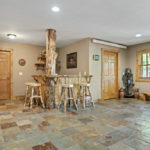 Pavillion is provided for the larger gathering area. 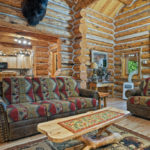 3- night minimum stay required for the Executive Lodge. 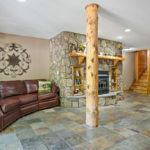 If any availability is open, we will consider bookings. 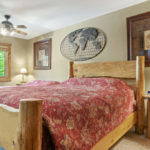 If any questions, please call before booking. 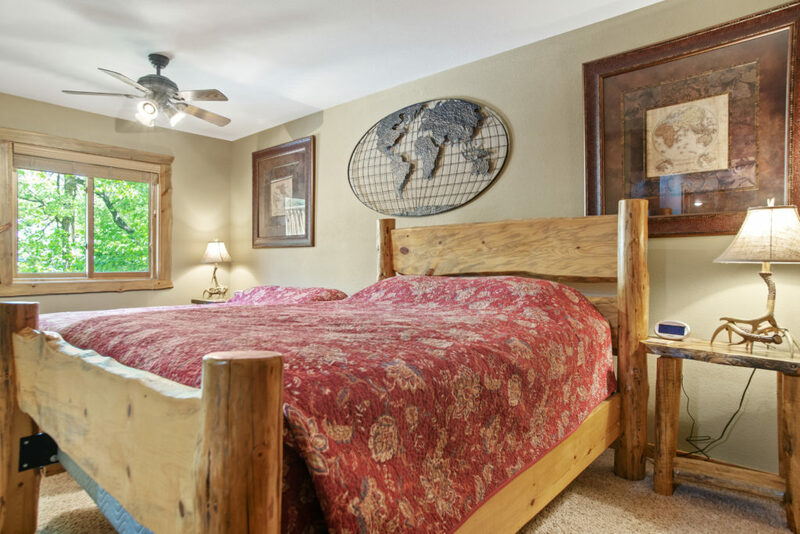 Be sure to see web page policy before booking.